2010 was an epic year of hiking! It seems a long time ago that I was only hiking about 2-3 times a year, but last year my feet brought me over 500 trail miles on over 90 trails. In January, after a week break from hiking, I ventured out to the Mojave National Preserve with some friends for a weekend of camping and exploring. I stayed close to home in February, hiking in the open areas of the Angeles National Forest, the exception being a day-trip down to the Cleveland National Forest late in the month. March brought wildflowers and an annual trip out to the Antelope Valley California Poppy Preserve. April is a great month to explore California’s deserts before they get hot, and this year was no exception. Another group camping trip to the Mojave National Preserve was well worth the drive. 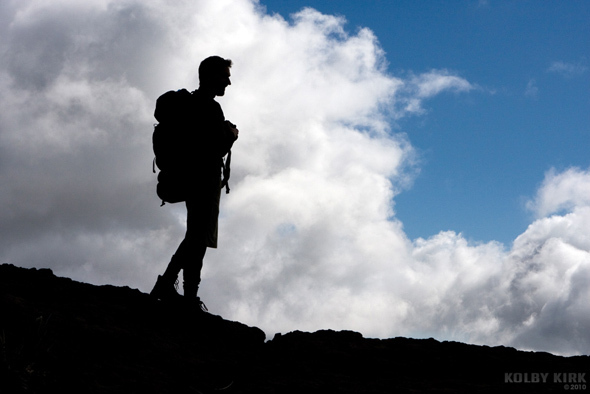 May was a big month of hiking, completing more miles in the month than February, March and April combined. The highlights included two back-to-back hikes to the “Bridge to Nowhere” in the mountains above Azusa, CA, and a week-long backpacking trip to southern Utah with my friends, Alyse & Remi, where we hiked the famed trails of The Subway, Angel’s Landing, and Buckskin Gulch. June brought me to the central coast of California (San Louis Obispo) on one trip and the Northern California coast and central Oregon on another. 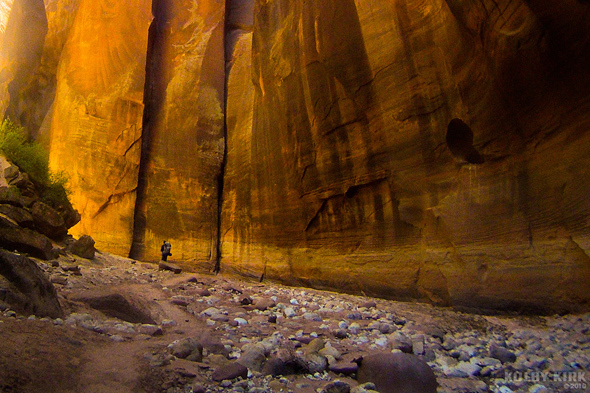 The incredible canyon walls of Buckskin Gulch humble hikers who venture through it. July would begin with a bang, bagging the personally-challenging Telescope Peak (in Death Valley National Park) for the second time, the first as a solo hike. A 4-day weekend in Kings Canyon & Sequoia National Park in August reminded me yet again how nice it is to live in California. September‘s backpacking trip in the Eastern Sierras was a “successful failure.” A two-day overnighter in the mountains and my cooking stove was left at home by mistake. October was a wet month, yet I endured and did over 50 miles of local trails, crossing the 400-mile marker on October 24th. I fell behind in my goal due to illness in November, only hiking a measly 3.1 miles in the first 20 days of the month. 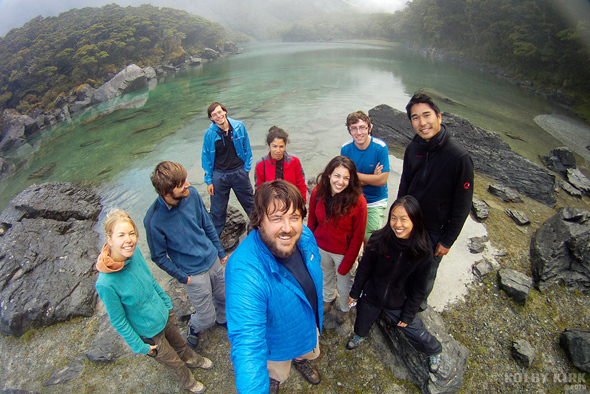 But I came back and came back strong, hiking one hundred miles in New Zealand on a 18-day north-to-south solo trip. 11 of those days were spent on some of the best trails in the world. I would hike my last miles of the year on my birthday, December 6th, giving me my first real “vacation” from hiking since May 2009. If my photo database is to be believed, I took 26,723 hiking-related photos in 2010. Having hiked on 97 days during the year – all with my camera(s) always in hand – I believe it. I spent my “vacation” from hiking looking through all of them to pick my very favorite photos. These images are links to strong memories I made throughout the year. Moments of beauty. Moments of struggle or triumph. Or moments of being in the right place at the right time with my lens cap off. I hope you enjoy them as much as I do.